Stagecoach is the story of a group of people traveling by stagecoach through dangerous Apache territory. A group of strangers gathers to travel from Arizona territory to New Mexico territory. The group includes Dallas (Claire Trevor), a prostitute, Lucy (Louise Platt) who is a cavalryman’s wife, a doctor named Boone (Thomas Mitchell) more interested in alcohol than anything medical, and a whiskey salesman named Samuel Peacock (Donald Meek). They set out led by driver, Buck (Andy Devine) and accompanied by Marshal Wilcox (George Bancroft) along with the US Cavalry to help them through the dangerous territory. As they are leaving they are joined by proud Southerner, Hatfield (John Carradine) and a bank employee embezzeling $50,000 named Gatewood (Berton Churchill). 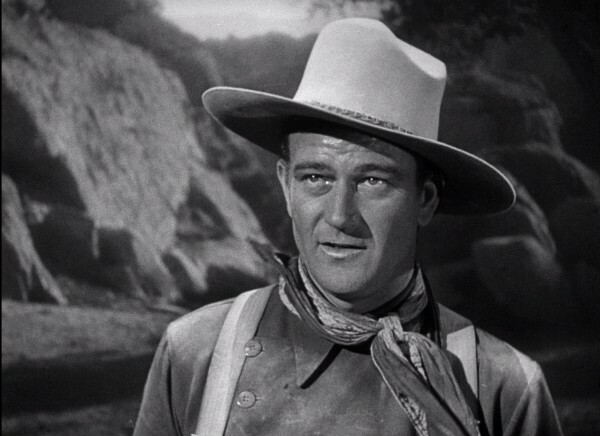 Along the way the group picks up the fugitive Ringo Kid (John Wayne) too as they make their trip and the troubles that arise. While the synopsis may sound confusing, all of that happens within the first 20 minutes or so of the film starting. The ensemble cast is introduced and each of them brings something unique to the troupe. Stagecoach was the first big time Western film made, bringing the entire genre to a level it hadn’t seen before and since its release in 1939 was a founding film of the 50s-era Westerns as well as several other John Ford / John Wayne collaborations. Stagecoach is special in that the entire cast is so unique and ranges from humorous to serious without feeling like complete characterizations. While some of their prominent traits may now seem a bit overused, for the time of the film’s release, it’s remarkably well done. John Ford certainly pulled off a masterpiece long before the common era for Westerns to really hit cinema. The landscapes are beautiful, even in black and white, and the pacing of the script never gets too bogged down in individual character drama. The only Western I think I prefer over Stagecoach is the later Ford/Wayne work, The Searchers. The Criterion release of Stagecoach is, of course, nothing short of amazing. The Blu-Ray restoration is impeccable and the only downsides I really saw were the black levels during some of the outdoor shots being a bit faded. As an entire package, with the supplemental features and booklet, Stagecoach is a top-notch addition to any Western film fan’s collection. I give it 4 young John Waynes out of 5. June was a slow month for my movie watching, unfortunately. The nice weather we had in Chicago caused me to put off watching movies and pursue other things. There are, of course, two huge milestones to talk about, however. First, and most important being that I made it halfway through my goal of watching 300 movies this year. Movie number 150 belongs to the illustrious Big Lebowski. 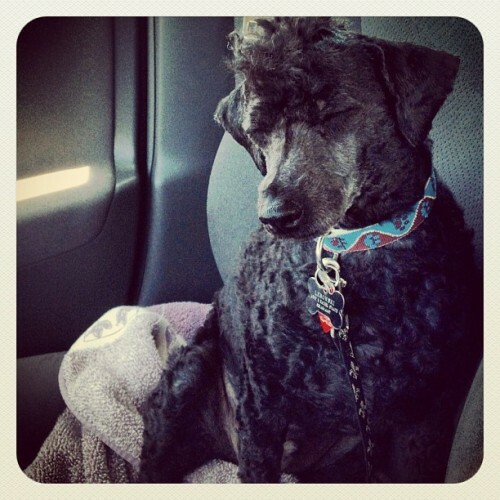 Not only is it one of my favorite movies, our dog was named Lebowski in honor of the film. The second milestone is related; we are more than halfway through the year as well. Since I made it through 151 movies, I’m squarely on track for hitting my goal of 300. I imagine the summer will be slightly off pace and once the cold weather turns around again my watching habits will pick back up. 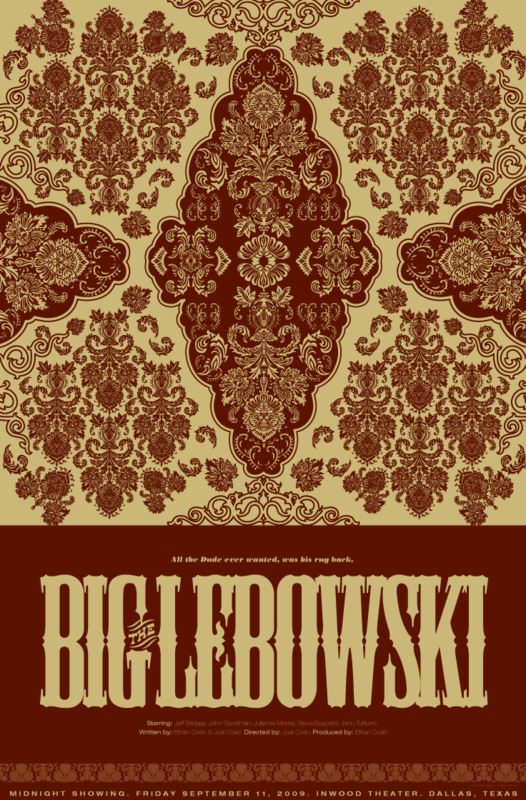 After Jeffrey Lebowski AKA The Dude is mistaken for millionaire Jeffrey Lebowski and has a rug urinated on, The Dude seeks restitution and finds himself in the middle of a convoluted tale involving nihilists, kidnappers, bowlers, marmots, and pornographers in The Big Lebowski. It would be almost impossible to fully break down the plot of The Lebowski in my typical one paragraph space since it has more twists and turns than any other movie I can think of, but I’ll try. One evening The Dude (Jeff Bridges), a care-free, middle-aged burnout, comes home and is confronted by two thugs looking for money. One of them urinates on The Dude’s rug. The Dude, real name Jeffrey Lebowski, finds out there is a rich Jeffrey Lebowski (David Huddleston) also in town. The Dude visits Jeffrey Lebowski for a new rug where he meets the assistant, Brandt (Philip Seymour Hoffman), and the trophy wife, Bunny (Tara Reid). Soon after, Bunny has been kidnapped and Lebowski asks for the help of The Dude, who in turn enlists his bowling buddies Walter (John Goodman) and Donny (Steve Buscemi) to assist. From there, things start to get weird. Anyway, back to The Big Lebowski. While the Coen brothers are known for their twisting plots and odd sense of humor, no other films have their brand perfected. All of the characters are memorable and nearly all of them are quotable. Some have said Casablanca has more quotable lines than any other film, but I would argue that The Big Lebowski tops it. Though it does use some more “colorful” language for many of the best lines. If you haven’t seen The Big Lebowski, I would recommend it in an instant but with a caveat: be prepared to watch it again. I can almost promise that the plot will leave you wondering what the hell you just watched, even if you enjoyed it. Even after at least a dozen viewings I still laugh out loud but I now fully understand what is happening in the plot. The Big Lebowski is an absolute joy to watch and I’m proud to have it mark my half-way point for the year. I had the grand fortune to see a midnight showing of The Big Lebowski again on the big screen and it also happened to coincide with being movie two hundred for me! I don’t have much to add beyond my original review other than watching a favorite movie in a theater is such a joy. Seeing great films like this in a classic theater with a live organist (!) was truly amazing and it makes me want to own my own theater so more people can share the experience. When Harry Met Sally chronicles the relationship between two people that meet in college and bump into each other for over the next 10 years. 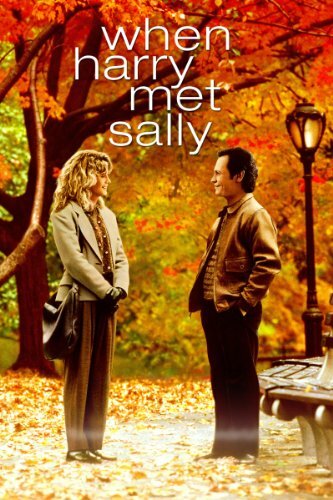 In 1977 Sally (Meg Ryan) travels to New York after graduating from the University of Chicago and rides with her best friend’s boyfriend, Harry (Billy Crystal). Over the course of the long ride, the two talk and find their personalities clash heavily after Harry mentions that men and women cannot be friends due to the attraction. Sally drops Harry off. Five years later at an airport, they randomly run into each other again when Sally is dating a colleague of Harry’s and Harry is happily married. After another five year span, the two are newly single and meet again in a bookstore and decide to try becoming friends, despite Harry’s rule about men and women having friendships. When writer Nora Ephron passed away recently I was, of course, familiar with her work but could not say I had seen much of it. When my wife realized this she made me watch When Harry Met Sally as soon as possible. 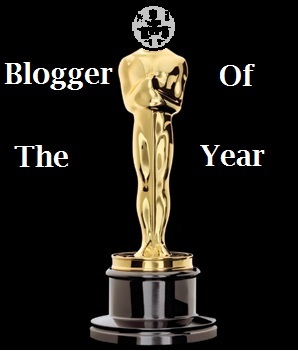 While I had an idea of what I was in store for, I was left very pleasantly surprised. Normally, romantic comedies cause my brain to shut off after repeated eye-rolling but When Harry Met Sally is legitimately funny and believable. 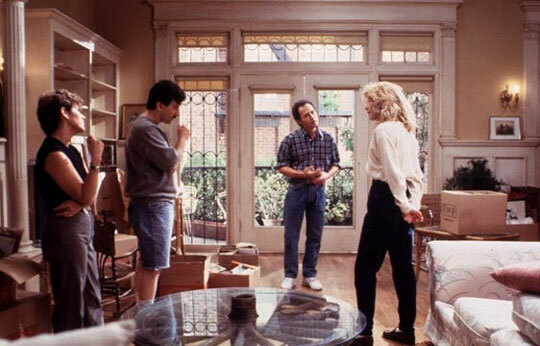 Meg Ryan and Billy Crystal have fantastic onscreen chemistry as well. The famous “I’ll have what she’s having” scene from When Harry Met Sally in the diner is widely recognized. In fact, that’s really the only specific part of the film I knew about. There are many small parts, mostly lines of Crystal’s that make the film deep, though. Part of that depth I will attribute to director, Rob Reiner, but the bulk of the proper dues belong to Ephron, who was truly a talented writer. A common pitfall I’ve noticed with rom-coms are their adherence to the times and places they occur in. When Harry Met Sally doesn’t quite fall into this trap, other than the fashion, but it comes close. I do fear that in another 20+ years the film may not have the fine edge it has now, but that’s all the more reason to see When Harry Met Sally sooner, rather than later. I give it 4 I kind of liked the coffee tables out of 5. Earth’s mightiest heroes must team up to defend the Earth in Ultimate Avengers. During World War II, Captain America fights nazis who end up being aliens. An explosion blows him into the ocean and freezes him. He is thawed out around 70 years later by Nick Fury of SHIELD. Bruce Banner (The Hulk) is working on recreating the Super Soldier Serum that turned Steve Rogers into Captain America, something Banner thinks can help him control Hulk. The aliens, Chitauri, attack Earth and SHIELD assembles Thor, Wasp, Iron Man, Ant Man, Captain America, and the Hulk to fight them off. 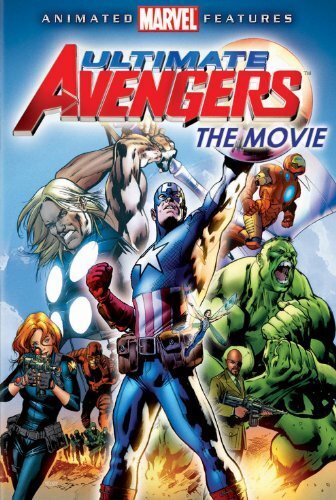 If you’re wondering why my synopsis for Ultimate Avengers sounds so dry and lifeless, you probably have no interest in watching this animated film because I treat the story with as much finesse as the film does. For those of us that watched the live-action Avengers on the big screen, the plot here is largely the same only devoid of any life (that’s not an animation pun). Nothing here is new or exciting and even the art style and animation brings nothing new to the table. That is not to say it’s bad, it’s just uninteresting. Unless you’re a huge fan of Marvel’s characters or the Avengers in general, see the live-action Avengers instead. For some reason, though sharing much of the plot, the live-action version is much more enjoyable. If you still want an animated Avengers fix, watch the surprisingly good Avengers: Earth’s Mightiest Heroes series and skip Ultimate Avengers. I give it 3 seriously, watch Avengers: Earth’s Mightiest Heroes out of 5. In The Muppets, an evil oil baron wants to destroy the Muppet Studios and the Muppet gang get help from their greatest fan. As kids, Walter (voiced by Peter Linz) and his brother, Gary (Jason Segel), were huge Muppet fans. 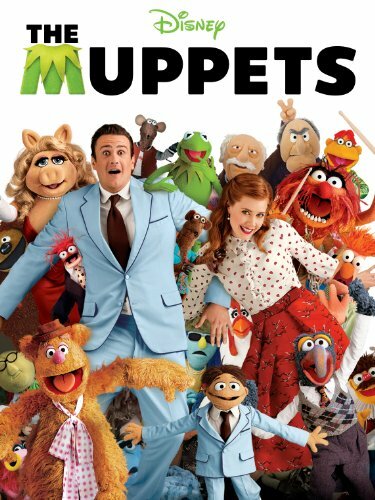 As grown-ups, Gary and his girlfriend, Mary (Amy Adams), travel to Los Angeles for their anniversary and Walter comes along so they can finally visit the Muppet Studio. Upon arriving and finding the studio all but abandoned and forgotten, Walter overhears Tex Richman’s (Chris Cooper) plan to buy and demolish the studio to drill for oil. Walter seeks out Kermit the Frog and together, they must reunite the whole Muppet gang to put on a benefit show to win the studio back. I think one would be hard pressed to find someone that doesn’t know the Muppets and one of the key aspects of The Muppets is that they are past their prime and are but a memory for most people. Their more recent movies have been decent but mostly forgettable and with this film, the unique brand of humor and wonder are back. Segel, who also co-wrote the film clearly loves the source material and stays true to the characters we know and love. Possibly the biggest surprise for The Muppets is the soundtrack. While I suppose it could be considered a musical I’m not sure I would fully agree. There are plenty of songs but they don’t seem out of place, with the exception of Tex Richman rapping, which is just embarrassing. Bret McKenzie, best known for his work in Flight of the Conchords, has the perfect style and sense of humor for The Muppets. There are several songs that you may find yourself whistling or humming days later. The best praise I can give The Muppets is that it is both refreshing and nostalgic. It doesn’t rely on knowing anything about the characters, but familiarity is certainly a plus. The humor is appropriate for nearly all ages but is not what I would consider childish. Few films can make you laugh and make you feel good while also tying to a piece of childhood memories, but The Muppets does that for me. I give it 5 mehna mehnas out of 5. 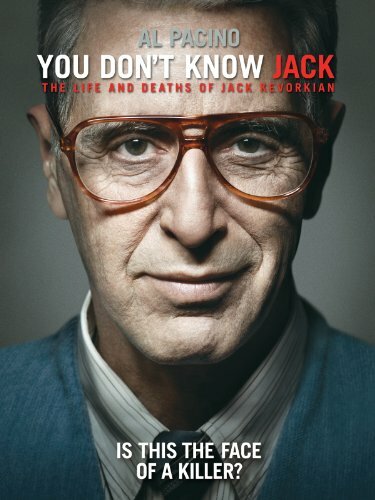 You Don’t Know Jack is a biopic about Jack Kevorkian’s fight for doctor assisted suicide and the struggles for its acceptance. Jack Kevorkian (Al Pacino) is a pathologist in Michigan who, along with the help of his sister, Margo Janus (Brenda Vaccaro), and colleague, Neal Nicol (John Goodman), decide to offer terminal patients the right to suicide. Kevorkian encounters numerous detractors along the way and finds himself in legal hot water consistently. Kevorkian does have other people in his corner, notably the Hemlock Society president, Janet Good (Susan Sarandon), and lawyer, Geoffry Feiger (Danny Huston). As Kevorkian struggles with what he sees as basic human rights, he struggles his unique personal and professional issues. Right off the bat I have to commend Al Pacino on what I can only describe as possibly my favorite performance after Dog Day Afternoon and The Godfather series. He is nigh unrecognizable in this role and nails all of Kevorkian’s mannerisms and personality traits amazingly well. It’s almost a shame Pacino’s performance is so incredible because it outshines the rest of the cast, who is also spectacular. You Don’t Know Jack is partially shot to look like home video since Kevorkian would always record the conversations he had with his patients about their illnesses as well as their reasons for not wanting to go on. These scenes are remarkably powerful in their realism that at times it is eerie. The film itself sticks to telling the story of Kevorkian during the years when he was in the media spotlight, mostly due to his numerous court battles. There are some hints to his past profession and personal life, but they are not the focus here. The film sets up the debate of “is this right?” perfectly and doesn’t always take sides. There are times that it seems Kevorkian is leading this crusade for all the wrong reasons and other times when he is completely humanized. He really was an interesting man, regardless of if you believe he was doing the right thing or not. You Don’t Know Jack is also an interesting case when it comes to awards because it was made for HBO, it was not eligible for the Academy Awards, which is an absolute shame. In spite of its sometimes morbid subject matter, I would highly recommend You Don’t Know Jack for Pacino alone. The debate of physician assisted euthanasia can come later, but for a film to tackle the subject with this much care, it’s something special. I give it 4 Jack Kevorkian paintings out of 5.